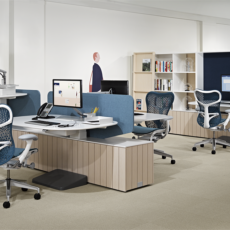 OFI has been creating engaging and stimulating work environments for nearly 50 years. Place can act as a powerful instrument to express an organization's unique culture and help it achieve its business goals. We work with you to create workplaces where people want to be. 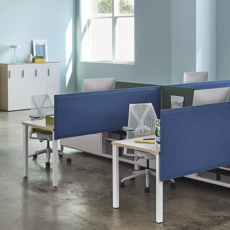 Since the 1968 launch of Action Office—the original open plan office system—Herman Miller has been a leading innovator in the design of commercial environments. 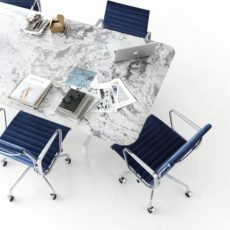 The iconic Aeron chair further solidified that reputation, and today, the company’s Living Office approach proposes a fundamental shift in the way workplaces are designed to foster greater connection, creativity, productivity, and prosperity in the new landscape of work.